Why Do Independents Choose Self Service Check Out? We all know that when we’re waiting in line, time slows to a crawl; 30 seconds feels like minutes and a couple minutes feels like so much more. Why? Because we’re waiting helplessly with nothing to do but stress about all the things we should be doing instead of what we are doing… waiting in line. “Oh, wait, I think that the line just moved a little. Today it’s just as much about convenience as it is price. In ever increasing numbers, today’s shoppers expect instant gratification and they have choices, lots of choices. Adding a Self Service Check Out option for your customers will enhance their shopping experience. Shoppers will now have the option of a self-service check out or they may go through the standard check out lane. 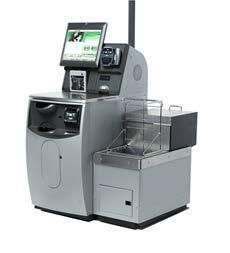 Having the correct person attending the Self Service Check Out lanes is absolutely critical to the overall success. The right person is truly a people person, one that loves their job, loves their customers and it shows. 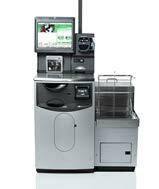 As the attendant cashier welcomes customers into the SSCO lane, he or she will quickly recognize opportunities to assist anyone and quickly turn apprehension into confidence. Today it’s not unusual for an independent supermarket to see 45 to 50% of their transactions going through their SCO lanes. It’s not because the shopper feels they have no choice; they have a choice and are choosing to go SSCO. The correct person attending the SSCO lanes makes a big difference. In the next article we’ll look at cost. What about Your Labor?Myth #2 – It Costs too Much!